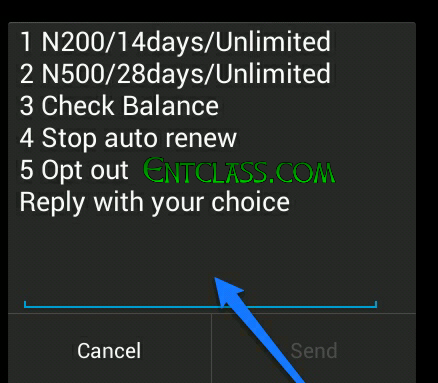 Now that there is no available free browsing tweaks at the moment, i Victor Kachi is trying my possible best to provide you guys with cheap and affordable browsing plans, atleast just to be online to get updated on Entclass.com cos we might post any free browsing tweak here on this blog (entclass.com) soon. 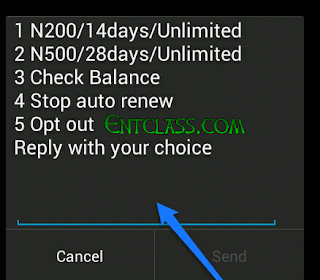 Today, am introducing to you guys here on Entclass.com another cheap and affordable data plans from Airtel NG which are 2GB for N200 and 4GB for N500. Am sure you gonna love it. NOTE: Every free browsing tweaks and codes has been tested and confirmed before posting, that is why people and fans of this blog Entclass.com rely on us for our updates. They're not really Unlimited as its stated above cos if truly its unlimited, there wouldn't be any plans to choose from. lol. Now reply with the number of any data plan of your choice, the N200 is for 2GB and it is Valid for 14 days only, while the N500 is for 4GB and it is valid for 28 days Only. 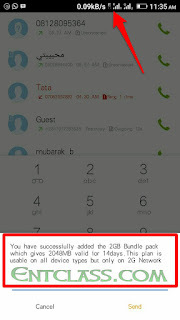 This is not a tweak, its an official Data plans from Airtel and it doesn't need any special settings or VPN apps like Psiphon, Netify, Tweakware, Netloop before it will work. 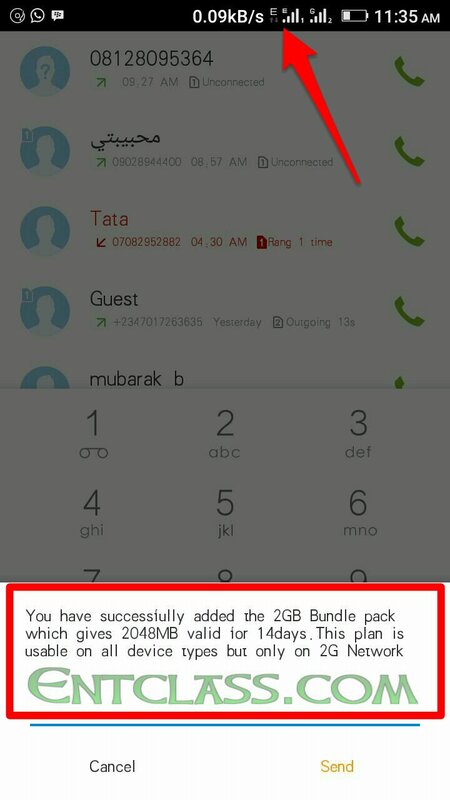 These data plans can only be used on 2G network as i demonstrated in the screenshot below. What this simply means is that, you can't use it on 3G else it won't browse. You give it a trial though. Am just saying what i observed. You can use it on your PC via hotspot tethering. Will you go for this plan? Or are you already using it? Kindly comment below. As i think Airtel network coverage is everywhere and these plans won't be a Miss. Kindly appreciate by sharing this post using the share buttons below. And don't forget to download our Android app on Google Playstore so that you can be notified of new free browsing tweaks. Hello Victor, can it work on blackberry or better still an android that has been tweaked to blackberry? Yea sir. It can work. But set your Network type to 2G. Nawaa for airtel, others are moving to 4lte and they are going back to 2g. Can it work on PC using universal modem? First of all, I wanna say a big thank u Victor... I suggest u also open a BBM channel too.. U r doing well.. And I am already a big fan.. Everything u tried here worked just the way u said it. Thanks for the compliments. And about the BBM stuff u said, we'll see about it.